Peter is a Partner in the Commercial and Private Client litigation team, based in Birmingham. Peter qualified in 2001 and joined Clarke Willmott in 2015. Peter has worked in Birmingham since 2006, having previously worked in the East Midlands. Peter deals with the resolution of complex, high value commercial disputes, and is particularly specialist in acting on corporate litigation involving shareholders, directors, investors and other business stakeholders. 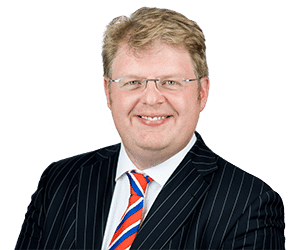 In addition, Peter is interested in business protection, and regularly advises on the enforcement of post termination restrictions, the abuse of confidential information and breaches of implied and express duties (including fiduciary duties). Peter also deals with claims involving breaches of contract. Peter is an accomplished advocate in mediations, and is a keen supporter of this form of ADR. Peter regularly litigates in the High Court and has taken a number of cases to the Court of Appeal. Peter has acted for investment funds, Plc’s, large private companies, private equity houses, banks and SME’s. Peter has particular expertise in acting for turnaround specialists. Peter is involved in the Turnaround Management Association and is a keen business developer.